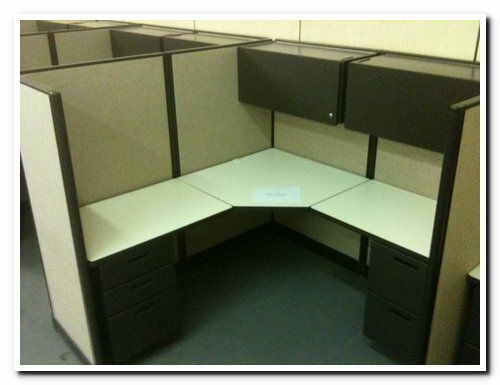 Description: 21 Mangement Stations: 111"x134" 23 Standard Stations: 111"x104" Stations are in excellent condition. 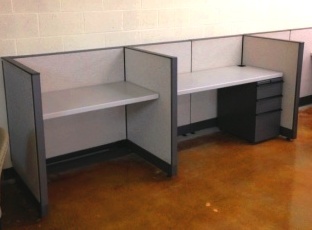 Description: We have 63 stations 6 X 8 with 64" high spine dropping off to 54" high, each station includes one 36" Overhead, a bbf and a ff ped, a 24 X 36 corner and 2 24 X 36 tops. 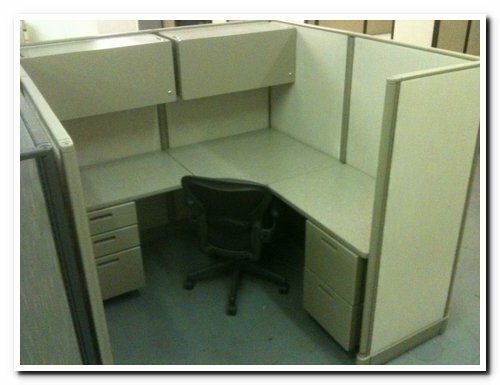 We alos have 5 6 X 6 64" to 54".. 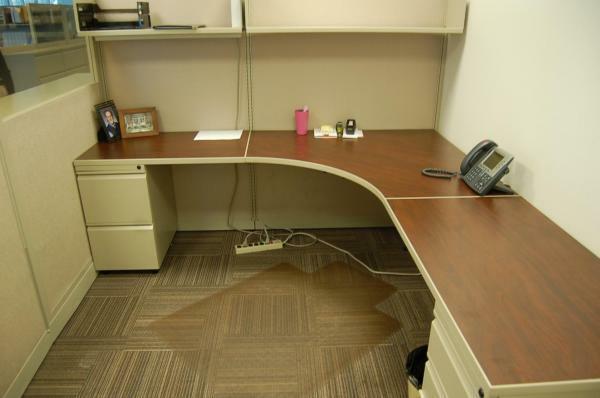 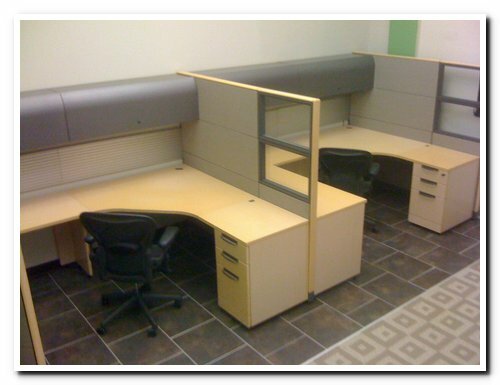 Description: Each station has a 48" x 48" x 24" corner surface, one 36" x 24" surface, and one 42" x 24" surface in Cherry laminate. 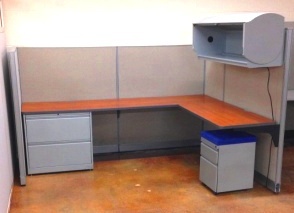 Two overhead shelves, one BBF and one FF drawer pedestal. 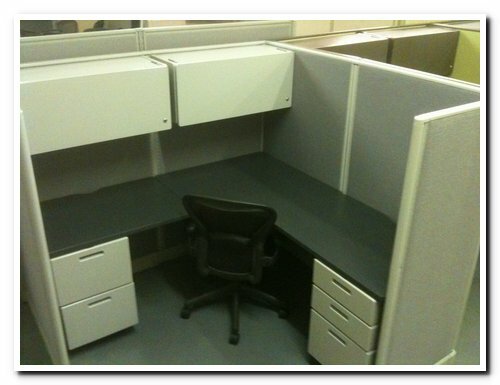 Panels are 65" high do.. 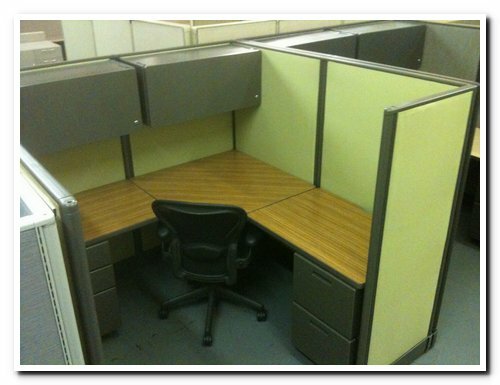 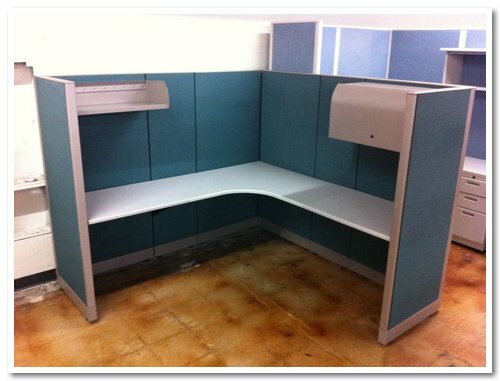 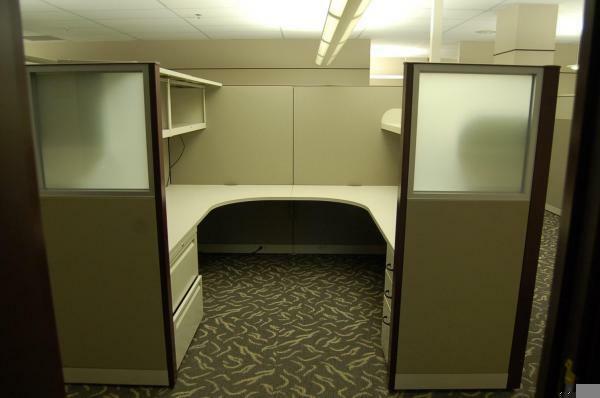 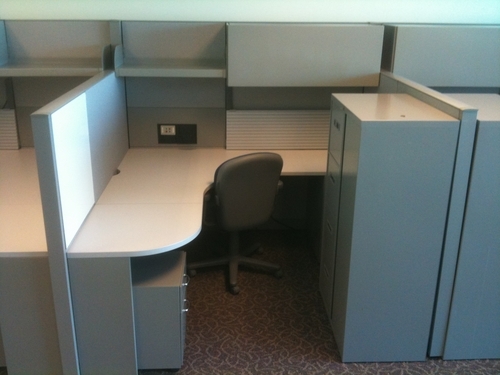 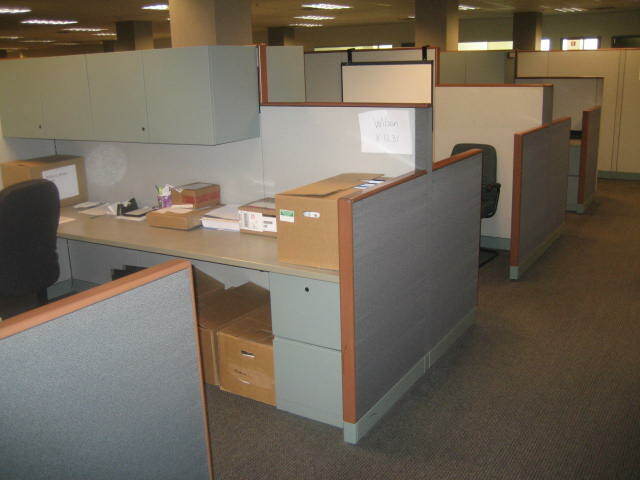 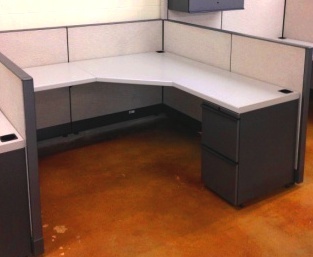 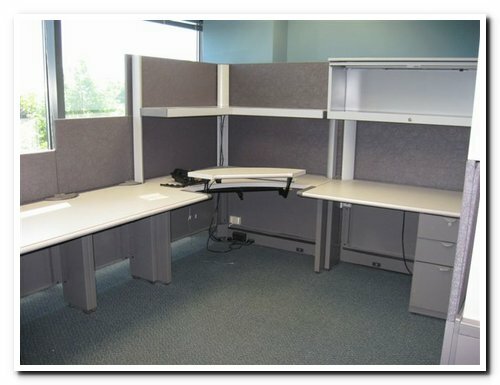 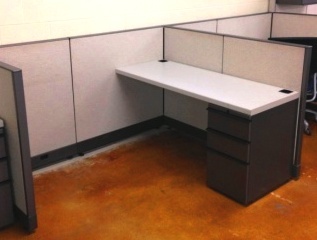 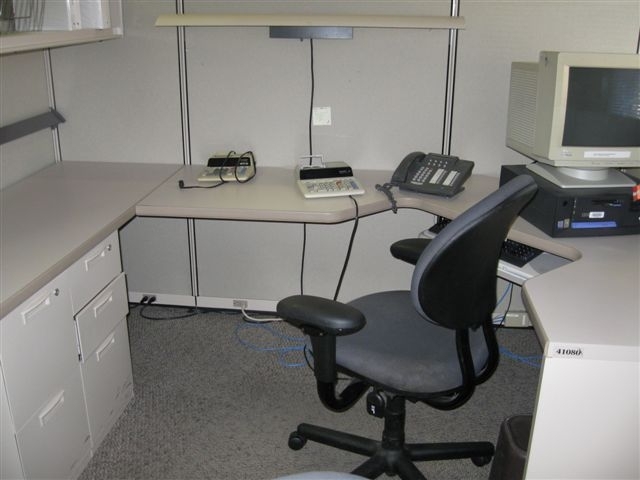 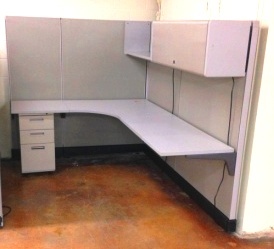 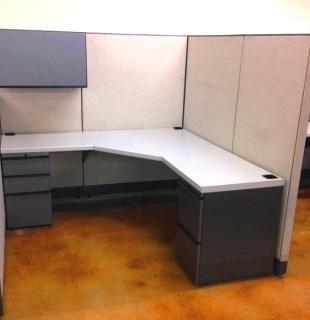 Description: 8.5x8.5 Haworth Workstations include 2 pedestals and 2 binder bins. 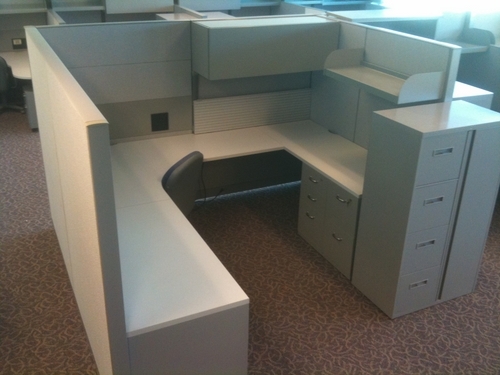 Binder bins and worksurface are done in a very attractive cherry wood. 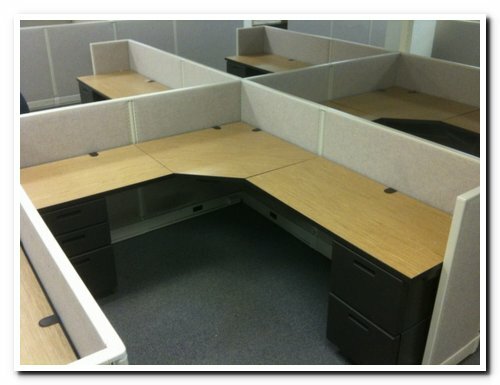 The panels are also trimmed in the same cherry wood. 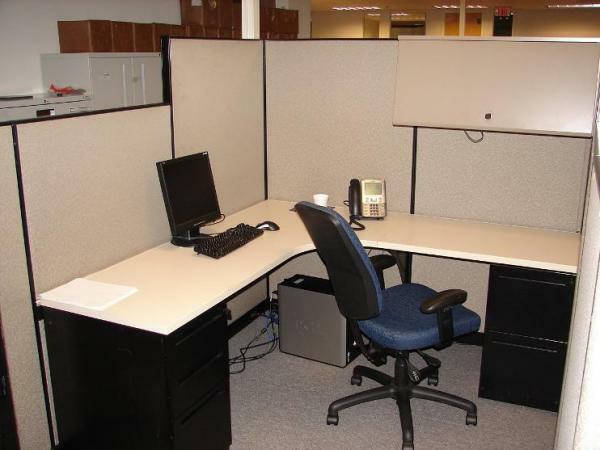 Please .. 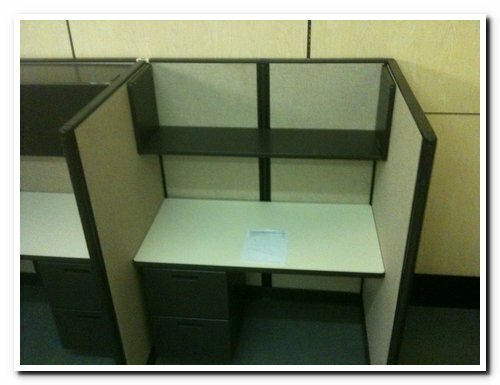 Description: Each station consists of a personal locker, mobile file unit, keyboard tray, numerous paper flow attachments and power. 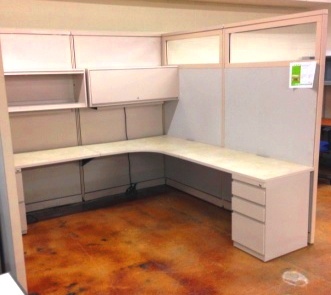 Very clean and in great condition. 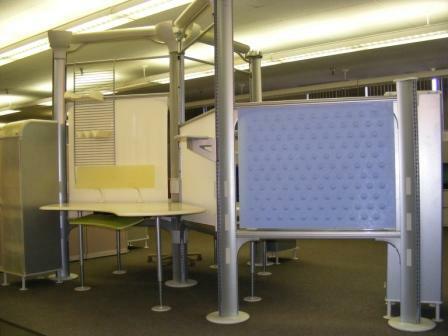 These stations are unique and would .. 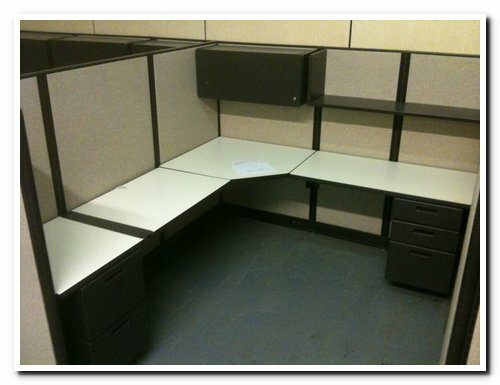 Description: These stations are ready for install very clean. 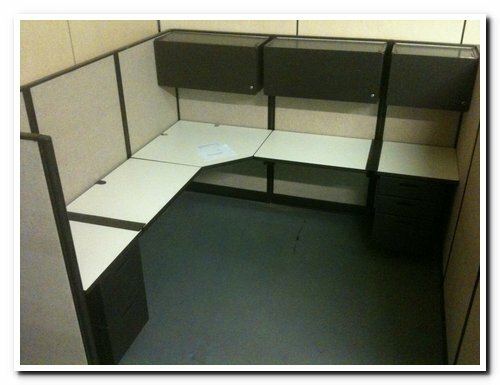 Most stations are 64" high in the spine and 53" high off the spine. 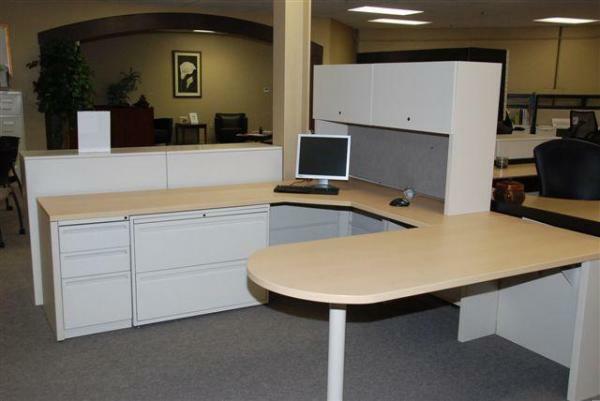 The stations measure 5 X 8 and 8 X 8 all of the worksurfaces and pedestals are the .. 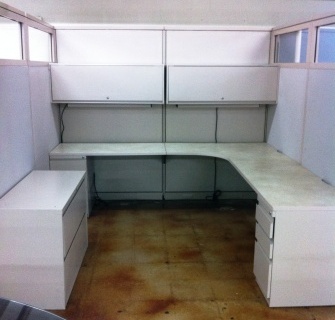 Description: U-shape workstations in excellent condition! 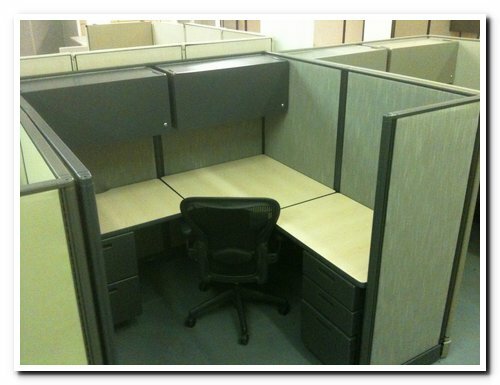 Two clusters of 8 and one cluster of 4. 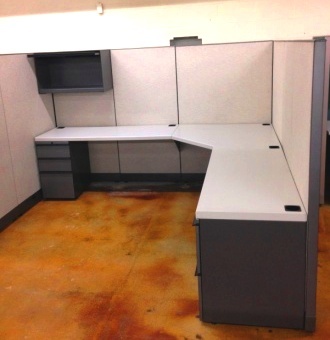 Each station contains; 2 overhead flipper door bins( one 48" w & one 42" w), 2 overhead open shelves ( one 48" .. 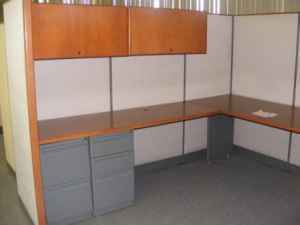 Description: 6"X6"X8" Hutch With 2 Drawer Lateral File, Box/Box/File Pedestal ID: 000001A7 Manufacturer: Haworth Model: Desk Unit Style: Freestanding Desk Quantity: 100 Location: Kansas City Mis..